David Mamet directs and writes this thriller with whip-smart dialogue, some of his usual repertory of actors and invokes the American crime films of the 70’s. 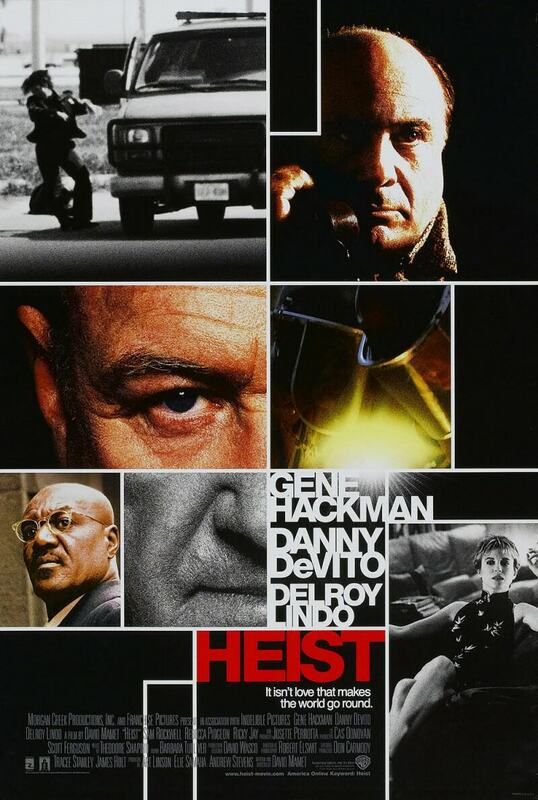 Gene Hackman, Rebecca Pidgeon, Delroy Lindo, Sam Rockwell, Danny De Vito and magician extraordinaire, Ricky Jay, star and have a ball with the dialogue. Fast paced and witty, the writing is the strongest part of the film. As usual, Mamet sets this in the world of conmen and capers and uses sleight of hand techniques to tell his story. A crew whose leader, Joe Moore played by the always excellent Gene Hackman, undertakes one last job and it isn’t as straightforward as it seems to be, mostly down to the people around him. The film itself is an average thriller that’s strength lies in the screenplay and the acting but doesn’t manage to elevate itself to greatness. Maybe it’s in the composition, something is not quite right. On paper it should be great but the end result leaves the piece a little flat. It’s hard to know why it doesn’t work, it just doesn’t deliver the goods and remains mediocre, setting aside the dialogue, which is tight. Sam Rockwell (Jimmy Silk) is on form for a change (sarcasm) playing Mickey Bergman’s (Danny de Vito on sleazy duties for a change ;0)) nephew, the kind of guy who is the loosest of canons, and is, again, brilliant. Rebecca Pidgeon plays Fran, Joe Moore’s wife and continues to deliver her real life husband’s (David Mamet) dialogue with the perfect timing. Bobby Blane (Delroy Lindo) and Pinky Pinkus (Ricky Jay) make up the rest of Moore’s crew. The double-cross is at play here and the fun is trying to work out what’s what.